The durable and convenient EasyFinderTM of Wisconsin will take all the wear and tear your journey can dish out. The laminated design allows you to mark your route, make notes, then wipe the surface clean for further use. 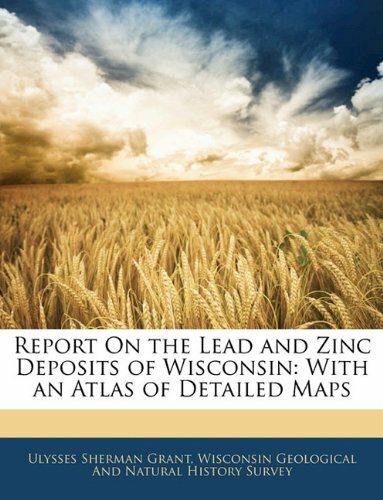 This extraordinary map, the first of its kind created for anystate, is a wonderful way to discover the history, culture, land, andpeople of Wisconsin. Nearly 1500 points of interest are located on themap, including the sites of Laura Ingalls Wilders Little House in theBig Woods near Pepin, the Worlds Largest Fish Fry at Port Washington,John Muirs boyhood farm near Montello, the Honor the Earth Pow Wow atLac Court Oreilles, the nations first kindergarten in Watertown, HoardsDairy Shrine in Fort Atkinson, the Pabst Mansion in Milwaukee, thegreat Peshtigo Fire, the Green Bay Packer Hall of Fame, and hundreds ofother fascinating places.The front of the map shows the entirestatetopography, roads, waterways, historic sites and historicalmarkers, archaeological areas, physical features and landscapes ofcultural significance, notable architecture, areas of ethnic andreligious importance, historic communities, festivals and fairs,lighthouses, museums and tours, colleges, parks and recreationaltrails, rustic roads, and places with celebrated literary, musical, andartistic connections. The back shows many more sites of interest onsmaller cultural maps of sixteen cities. 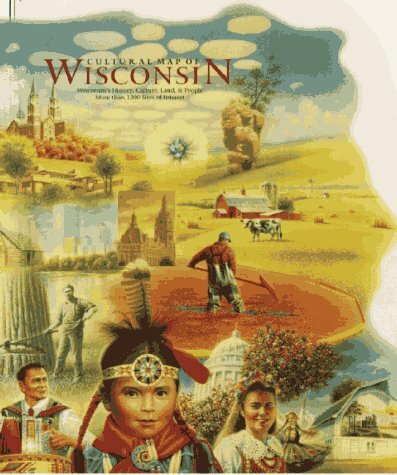 All the maps incorporate ashaded relief background that displays Wisconsins rich variation inland forms, making it possible to see how local cultures areinextricably linked to regional landscapes. Six small thematic mapsemphasize this linkage and show historical changes in vegetation,population patterns, and local economies. Locating original landowners in maps has never been an easy task--until now. This volume in the Family Maps series contains newly created maps of original landowners (patent maps) in what is now Dunn County, Wisconsin, gleaned from the indexes of the U.S. Bureau of Land Management. But it offers much more than that. For each township in the county, there are two additional maps accompanying the patent map: a road map and a map showing waterways, railroads, and both modern and many historical city-centers and cemeteries. Locating original landowners in maps has never been an easy task--until now. 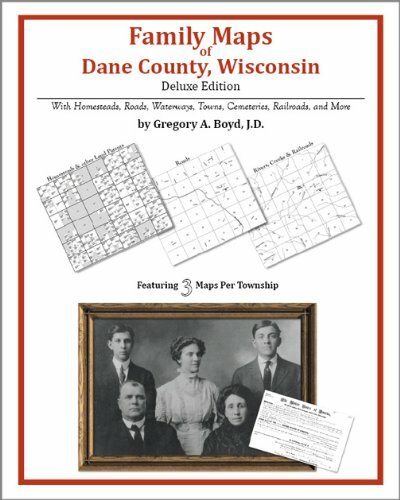 This volume in the Family Maps series contains newly created maps of original landowners (patent maps) in what is now Dodge County, Wisconsin, gleaned from the indexes of the U.S. Bureau of Land Management. But it offers much more than that. For each township in the county, there are two additional maps accompanying the patent map: a road map and a map showing waterways, railroads, and both modern and many historical city-centers and cemeteries. Wisconsin is a premier backpacking state, with outstanding opportunities for weekend trips. With its Great Lakes and river boundaries, national and state parks and forests, and stunning geological diversity, it offers a variety of experiences for both novice and experienced backpackers. In Backpacking Wisconsin Jack and Liz Hailman, drawing on years of personal experience, provide first-hand information for trails in every corner of the state-from the wooded Apostle Islands National Lakeshore, inhabited by whitetailed deer and black bears, to picturesque Newport State Park in Door County, set upon Silurian-age limestone laid down over 100 million years ago. *trail notes describing trees, shrubs, wildflowers, birds, and animals you may encounter. 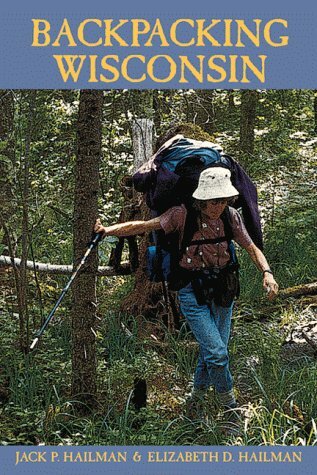 Backpacking Wisconsin also provides an overview of the backpacking experience, tips for the beginner and the expert, hints on how to choose equipment (boots, packs, tents, sleeping bags, rain gear, stoves), notes on troublesome plants and animals, a list of state areas that no longer offer backpacking, schedules of fees, a checklist for backpacks, and a list of trail, outdoor, and conservation organizations. For those hesitant to venture deep into wilderness, the Hailmans spotlight "quasi-backpacking" sites. All you have to do is pick a trail! First off, I recommend reading other reviews as they have some good perspectives. 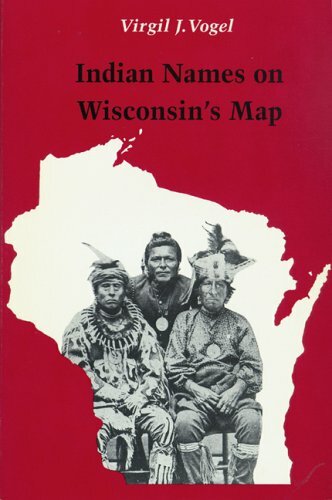 The book is set up into regions, which are mostly in the north with one region covering everything else including southern WI.As others mention the authors present a number of options in each region and go into depth in the form of narratives telling what their experiences on ones they have done.I enjoyed this as they kept it short, but these accounts probably provide certain information than other resources would so I don't think it's a bad thing to include.Still, as one reviewer mentioned, more practical information and less narrative might have been nice.But overall it gives you a good sense of places to go for ideas for trips, and what you might actually see there, and I think that's worth reading. I too agree that their recommendation not to bring a cell phone is not a good piece of advice to follow.Always better to have it than not to have it.And they have some GPS advice suggesting that the devices are not all that helpful or accurate - from what I know the technology has improved since then and like cell phones, it's better to have than not, in most cases. The book is also full of closeup maps, which are nice to have, but I know some are somewhat out-of-date now, so I wouldn't rely on them at all at this point except as a general tool for getting ideas.And there may be other information about the trails that is no longer accurate.So in short, pick this up as a starting point for ideas, but if you're actually going to do any of the trips in the book, check with whoever maintains the trail for updated information and maps. Really good, exactly the info I couldn't find anywhere else. 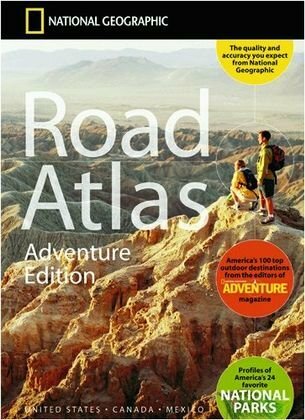 This is a great book.I am into backpacking but never recieved good info about it in our state (I choose to save it for vacations out west - not anymore).I really like how the authors put the book together with ratings of trails and persoanl experience. Excellenet organization. Unlike the other reviewer I think the personal accounts are much needed as they help describe exactly what it was like when the authors were there.This is exactly what Wisconsin backpackers need.I didn't want to make the mistake of going backpacking in Wisconsin and having it turn into something that was too civilized.This book describes what kinds of things are at the campsites or if campsites exist at all(then one must wilderness camp--my favorite).It acts as a guide as to which places will better suite your particular taste for backpacking so you aren't wasteing your whole summer trying to find good places to go. I do not like this book at all.Maybe it is because I am used to using Falcon Guides, but when I purchase a hiking or backpacking trail guide I expect good trail narratives, not a description of the author's hiking experience.I don't care what time they got into camp or what they had for dinner.In a backpacking book I expect some description of water availability from streams, lakes, etc.In this book the authors only describe whether or not public water is available at campsites.Since I have not found this book to be of much use in planning a backpacking trip to Wisconsin, I am now purchasing the Hiking Wisconsin Falcon Guide. This is a pretty darn good book. I live in Milwaukee and am pretty familiar with most of the places described. The info is accurate, and there's enough of it.A lot of good maps, too. The authors have divided the state into 5 backpacking regions and in each region they've listed many of the best backpacking parks and trails. It's satisfying to know that the authors have themselves backpacked most of the areas they describe. A lot of good stuff in this book, including general backpacking "how-to" info in the first part, but... There is one piece of advice that I think is poorly thought out. On page 25, their advice is to not bring a cell phone into the woods and that it is of little potential help. They talk of the subject in somewhat unrealistic terms, and only of getting lost in the woods and completely ignore other potential problems such as a medical emergency. As an experienced backpacker, I can tell you as they do... DON'T go into the woods if you aren't prepared for emergency and what to do if you get lost, but, if things do go bad and you have a cell phone with you (especially one of those really small, lightweight ones with a wide coverage area) you could be darn glad you brought it. Keep it turned off, use it only in emergencies and pray that it sends and receives OK from your location. This is the biggest potential problem with cell phones in an emergency, but coverage is getting better and technology is giving us more reliability. Their advice should have been (as it is in many other backpacking articles)...Bring a cell phone (with a fresh battery) if you want to, but understand that it is NOT guaranteed to work, keep it turned off except ONLY for emergencies and it is NO SUBSTITUTE for knowledge and smart preperation. Having said that (it's a small point that I made a big deal of)... DO buy this book if your'e looking at a backpacking trip in this wonderful state. Locating original landowners in maps has never been an easy task--until now. This volume in the Family Maps series contains newly created maps of original landowners (patent maps) in what is now Dane County, Wisconsin, gleaned from the indexes of the U.S. Bureau of Land Management. But it offers much more than that. For each township in the county, there are two additional maps accompanying the patent map: a road map and a map showing waterways, railroads, and both modern and many historical city-centers and cemeteries. Locating original landowners in maps has never been an easy task--until now. This volume in the Family Maps series contains newly created maps of original landowners (patent maps) in what is now Iowa County, Wisconsin, gleaned from the indexes of the U.S. Bureau of Land Management. But it offers much more than that. For each township in the county, there are two additional maps accompanying the patent map: a road map and a map showing waterways, railroads, and both modern and many historical city-centers and cemeteries.